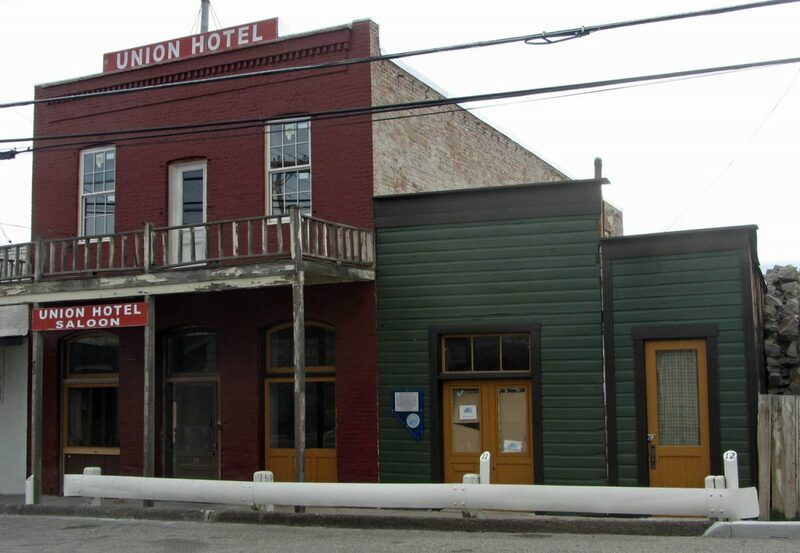 At one time, the Union Hotel was outfitted with the latest in modern plumbing technology, a two story outhouse. It was accessed by both ground level doors for the first floor seats and a catwalk from the second floor of the hotel to the second floor seats. This facilitated the travel of fragrant thunder mugs and desperate hotel guest directly from the second floor to the outhouse without having to travel down the stairs, through the saloon, and through the public dining room. Phew! The upstairs seats were most likely connected to clay sewer pipes that routed the effluent past the guests sitting below so there was no need for umbrellas. I have a section of sewer pipe that I suspect was from the outhouse. I can’t prove that it was from the outhouse but it will make a good prop when I’m old and cranky, tellin the youngins about how hard life used to be. 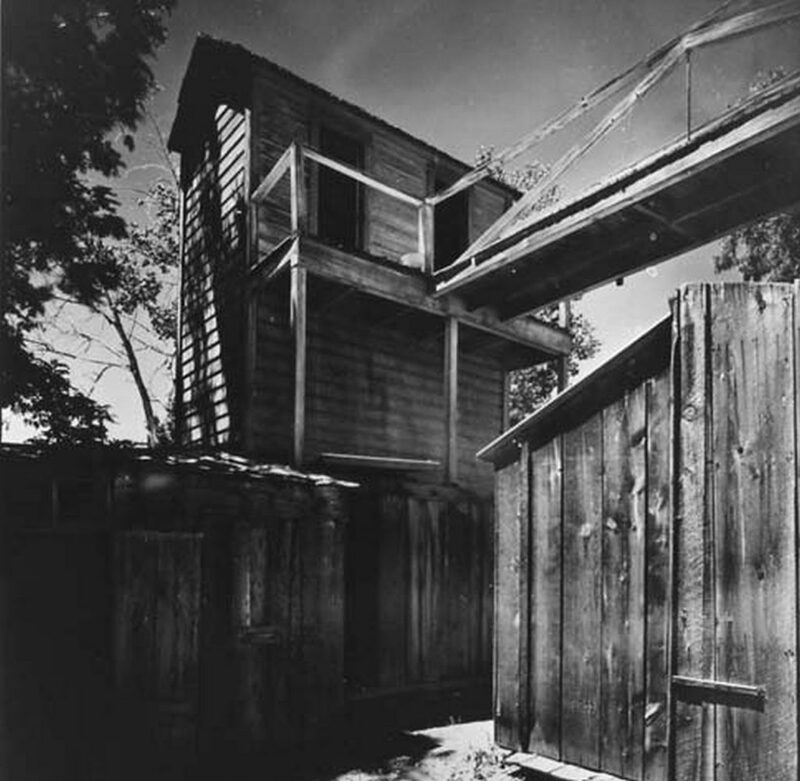 After many years of hard service the outhouse was removed in the 50s for safety concerns. Some say it was knocked down because it was falling over on it’s own accord and others claim that it was put on a truck and hauled to Hollywood with a big red ribbon attached as a practical joke. Neither story has been confirmed beyond doubt but in any case, what was left behind was a great big hole. Which was filled with trash in subsequent years. 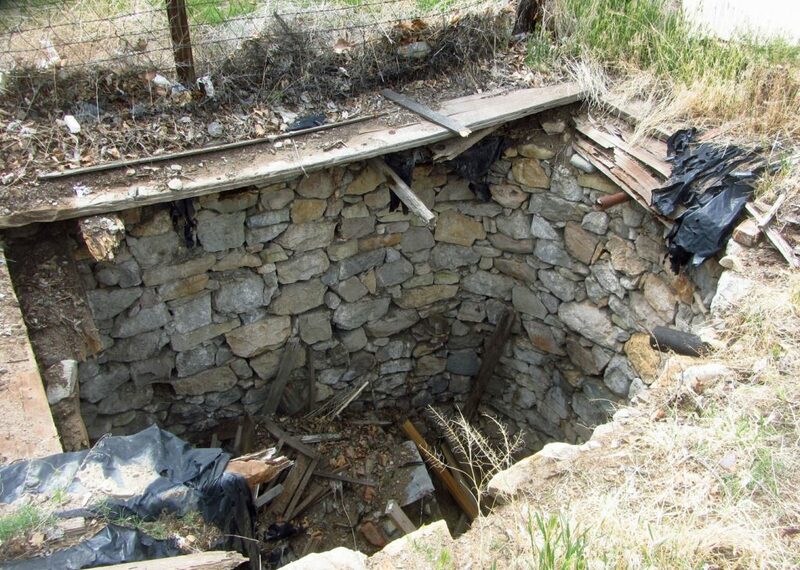 When Katie and I bought the hotel, we both shared dreams of digging the pit for bottles but upon further inspection, we began to realize that it was not such a good idea. 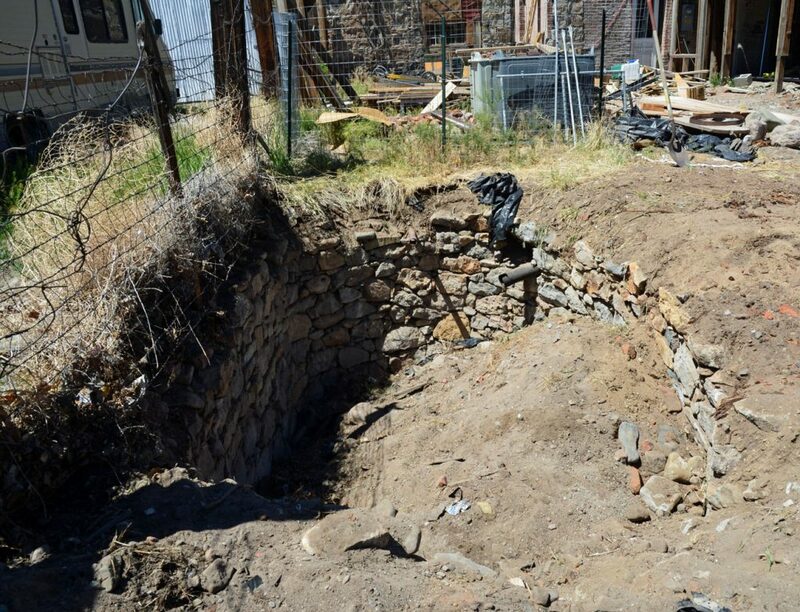 Originally, the pit was 25′ deep but the trash filled it up about half way and the nature of the trash was going to make removing it quite a challenge. Imagine a huge ice cream Sunday of soggy rolled up wall to wall carpet with the carcass of a Barcalounger as the topping cherry. If that was not enough to discourage us, we then made friends with a local bottle digger who assured us that the pit had already been dug to the bottom back in the 80s. It was becoming apparent that our best option was to fill the thing up. 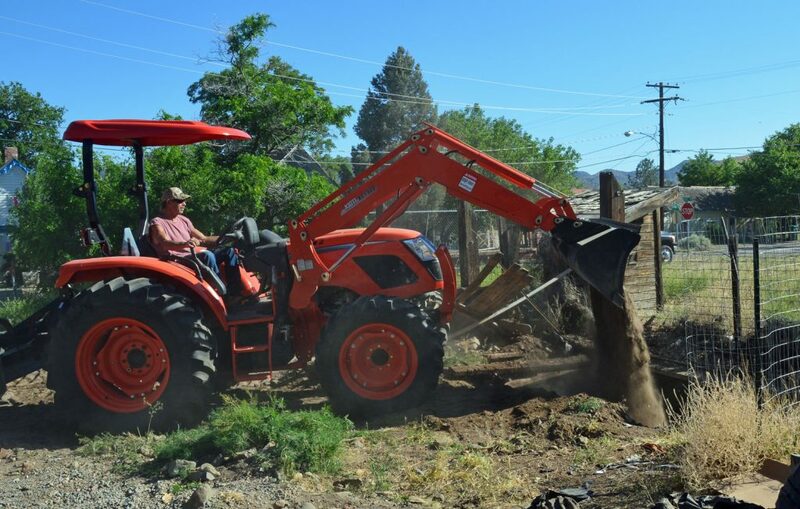 We had played with the notion of building a shed over it and having a basement but the rock work looked a little dodgy and we had this huge pile of dirt from other places in the yard and well, it just made sense. Yes, it seems like a shame to do it but the stone walls will be preserved better over time and if anyone wants to dig it out in the future, carpet and all, the pit will still be there awaiting their shovel. It still needs a few more yards of dirt but I’m sure we’ll have no problem coming up with it when we level the yard. I love your updates, and I also review older ones at the same time. I would so love to see this labor of love. The USArmy has Dave and family in Hawaii for one more year. We don’t know where they will land, but the west has its advantages!